The Blitzkrieg Within: A Blue Football Victory! Blackburn Rovers won the Premier League way back in 1994-95. It was unprecedented and a surprise, no doubt. Nevertheless it happened in an era still devoid of rich owners splurging money to buy talent to win silverware. If Rovers winning the Premier League was huge, Leicester winning it is humongous! 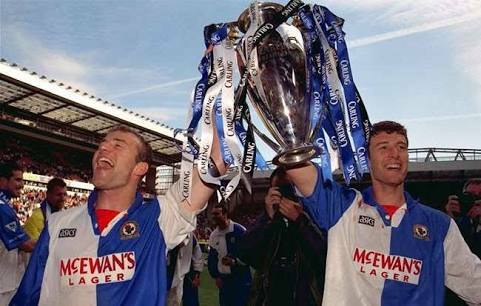 Shearer and Sutton guiding Rovers to PL title! 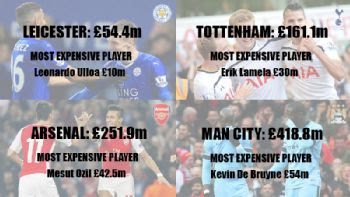 The entire value of the Leicester's squad is around £54 Million which is nearly how much Kevin De Bruyne cost Manchester City. No offence to De Bruyne. 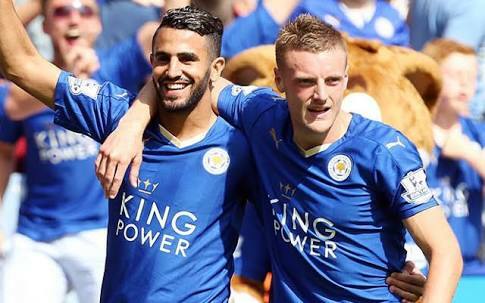 The POTY Riyad Mahrez costed £0.4 Million as against let's say £32 Million for last year's POTY. Let's not forget United, Chelsea and Liverpool! With teams like Man City, Man United, Arsenal, Spurs, Liverpool and Chelsea who can spend at will floating in the same ship, Foxes winning the Title is no fluke or stroke of luck! Winning it with two games to spare really gives them bragging rights. Mahrez, you beauty! Vardy, you're now forgiven for that dive! This signifies not just the first Premier League title for Leicester City but enforces a hope for all those helpless teams with talented players who get raided by Pounds every transfer market. This is a victory for a team without a star player. 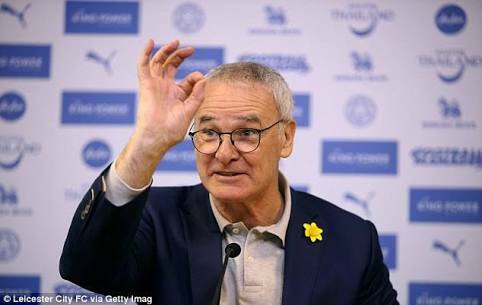 The possibiloty of Ranieri's men creating history was written off time and time again by the pundits. Let's not worry now about how they'll do playing in multiple competitions and being pit against world giants next season. Dilly ding, dilly dong! You're Premier League winners man! Losing to Faroe Islands seems like ages ago now!